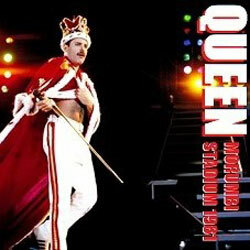 Recorded: Live at The Morumbi Stadium, Sao Paulo, Brazil, March 20th., 1981. Comments: Well known concert, which has been released on many bootlegs. Vinyl's, cd's & dvd's. I'm not sure which source has been used on this cdr, but I guess from a later re-broadcast or similar source, but I don't know for sure. This concert was broadcasted television in Brazil back in 81. I don't know all the details of direct live broadcast or later re-broadcasting etc. It might has been radio broadcasting too. Roots: From TV or radio broadcast.